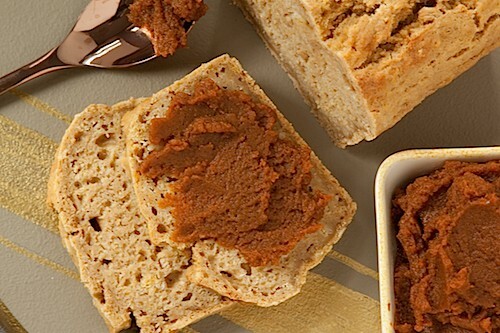 Spiced Pumpkin Beer Bread | Good. Food. Stories. Oh, pumpkin, we love you. 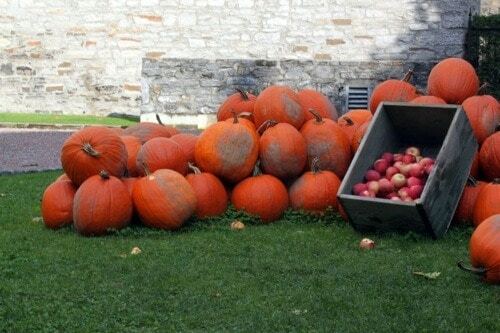 You are an enduring icon of fall, harvest time and Halloween. When paired with any of your usual suspects—cinnamon, nutmeg, mace, cloves, allspice, ginger, cardamom—you make for one comforting, nostalgic combo. I’m talking about pumpkin spice, that increasingly ubiquitous descriptor that accompanies a surfeit of food or beverage products, because consumers can’t get seem to get enough of it. Wait. Let’s hit the brakes for a minute. What we talk about when we talk about pumpkin spice isn’t really pumpkin. Nor is it spice. 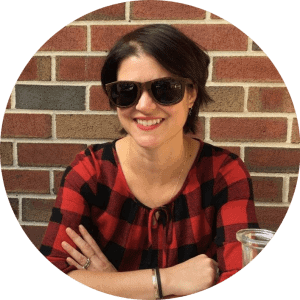 It’s the simulacra; it’s the marketing juggernaut; it’s the manufactured essence of childhood nostalgia, of crunching leaves, of hayrides and brisk weather and pumpkin patches. And most of us are falling for it, every single time. Some people may say that food and food-related items bearing the “pumpkin spice” handle are jumping the season and the shark. Maybe you’ve noticed a number of products have been hijacked by the signifier “pumpkin spice,” making their way into every imaginable—and unimaginable—food and drink, from the somewhat logical (non-dairy milks and Greek yogurts) to the dubiously misguided (Pringles, peanut butter, and Oreos, which my sister said smells like candles). Of course Starbucks is perhaps one of the original arbiters of this with the pumpkin spice latte (PSL, for those in the sip), 11 years ago this very month. (The drink even has its own Twitter account, @TheRealPSL, with close to 94,000 followers). If you slipped your barista a secret code you would have been served one a week early. But if you’ve seen the meme going around about what’s really in a #PSL, you may have concluded it’s probably nothing you should drink a whole hell of a lot of. It, too, is neither pumpkin, nor spice. Hopefully, it’s a latte. The race to fulfill all those pumpkin-loving needs starts seemingly earlier every year. My hometown brewer, Weyerbacher, produces an Imperial Pumpkin ale that debuted in 2005—the brewery “resisted for years,” says PR manager Bill Bragg. This year, it became available for distribution in July. The knee-jerk reaction is that it seems like a rush to the beer-foamed finish line. “It’s not a reason of pushing the market, but to get it out of our building so we can continue to produce more. It grows uncontrollably every year. We attempted to control it,” half-jokes Bragg. I don’t know who buys pumpkin beer in July, but typically by Thanksgiving—the zenith of pumpkin-related consumption with pumpkin pie, and the last adieu to autumn—Weyerbacher’s pumpkin ale is usually close to sold out. They’re likely not alone. This may be the way brewers want it, but it leaves me scratching my head. Let’s face it. At the end of the day, field pumpkins are cheap, mostly blank canvases filled with goo you have to scoop out. They are made for jack o’ lanterns and ideally, the perfect foil for roasting, pureeing and pairing with all those spices. Most bakers don’t use them (hubbard, butternut, and long neck all have more flavor and less water) nor do many brewers (Weyerbacher for one uses sugar pumpkins.) Let’s not even discuss canned pumpkin, because there’s rumors that most canned pumpkin isn’t pumpkin at all, but—gasp!—hubbard squash. Furthermore, there are plenty of other toasty/harvest/warming seasonal beers introduced every fall, and plenty of savory directions a pumpkin can go, too. The latter is what inspired Augie Carton, co-owner of the outside-the-box Carton Brewing in Atlantic Highlands, New Jersey. Well, more specifically, it started with ravioli he had on his honeymoon in Italy, creamy with butter and butternut squash, plus the earthy herbal hits of sage, topped with crumbled anise biscotti. Carton translated all of that—butter included—into a beer they’re calling Rav, the second in a series of their “gourd ales” for fall. The brewery’s Pumpkin Cream Ale, which predated Rav, was made with roasted pumpkins, orange oil, pink peppercorns and candied ginger. There’s some of it aging in cider barrels, and it’ll emerge on Halloween, says Carton. They roasted the pumpkins without any sugar or spices, to the shock of some. “You wouldn’t believe the number of people who think pumpkin flavor is the pumpkin spice mix from McCormick’s. Pumpkins are naturally dry and a little bitter in taste, and people would get mad and say ‘you ruined this pumpkin beer and overhopped it.’ If you’re looking for cinnamon, you should’ve gone to Starbucks,” he says. Of course, for as many people whose palates have been sabotaged by pumpkin spice expectations, there are those like Carton who want to honor the season but do it a little differently. Joe Percoco, the progressive brewer at nascent Funk Brewing in Emmaus, PA, takes it a step further with Falliage. It’s a chai spice Belgian ale with Vienna and Caramel malts, plus the spices of fall–sans the squash. Like any curious, inventive brewer, he felt the need to reexamine the conventional brewing paradigm and twist it. 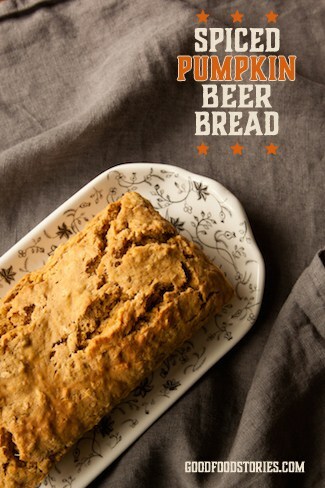 And that’s what led me to develop this beer bread recipe. I wanted to bypass the yeasty but indistinct beer breads we all know, balance sweet and savory, and subtly accent the spice undercurrent as the beer’s spices mostly get baked off anyway. I wanted pumpkin puree, and malty chew from spent grain from Imperial Pumpkin ale. I wanted my own authentic fall spicy-beery bread: no syrup, no flavor crystals, no ill-conceived marking opportunity, no pimped-out pumpkin spice. Here’s the real deal. Preheat the oven to 375˚F. Grease and flour a standard 9×5-inch loaf pan, or spritz with nonstick baking spray. Whisk or sift both flours, baking powder, sugar, salt, cloves, cinnamon, cardamom, and nutmeg together in a large mixing bowl. Whisk the 4 tablespoons melted butter and pumpkin puree together in a small mixing bowl. Add the butter, beer, and spent grain to the flour. Gently stir together with a silicone spatula just until all the flour has been absorbed. The batter won’t be easily pourable, but thicker and a bit scraggly. Scrape the batter into the prepared loaf pan. Brush the batter with the remaining 1 tablespoon butter. Bake for 45-55 minutes, until the top of the loaf is matte and craggy, similar to brown soda bread, and turning golden brown in spots. Cool for 10-15 minutes on a wire rack and then remove from the pan to cool completely before slicing.